In the event of a plumbing flood, it is possible that the contents of your home may get wet. If this happens, your possessions may need professional drying and/or cleaning. 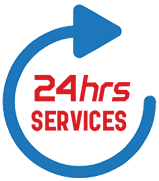 At All Hours Emergency Plumbing, we’ve just about seen it all and we know how to clean it all! Contents drying and cleaning requires specialized equipment and chemicals and we know how to get it done!